Unisource markets the most innovative hydraulic hose, coupling, and accessory lineup in the industry. 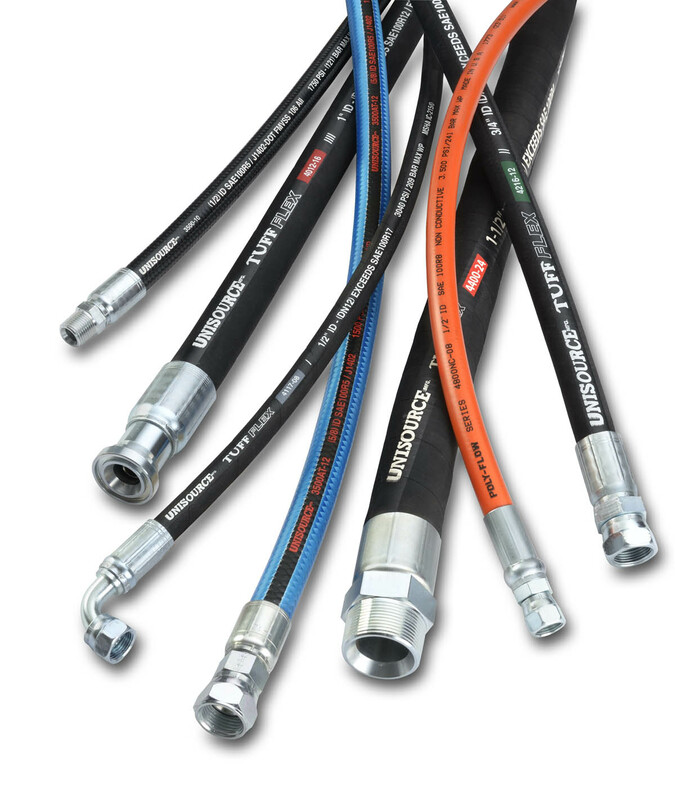 Our hose includes specifications for low, medium and high-pressure applications. Constructions ranging from rubber hose to thermoplastic hose to PTFE core hose will meet the needs of virtually any fluid power application. In addition, Unisource builds precision, high-quality crimp fittings and tooling so that our customers can build hydraulic hose assemblies with the utmost pride and confidence. Special market hose and couplings are designed to meet the needs of industries such as water blasting and sewer cleaning and jetting. To compliment our hose products, choose from a variety of accessories, such as steel, brass, and stainless steel hydraulic adapters—in all styles, including BSP. Split flange kits are also available. To enhance hose life and performance we have spring guards, nylon hose sleeving, and spiral-guard hose sleeving. If your particular application does not appear in this section, chances are we can design a product to meet the application. Please contact Unisource to discuss a custom design.